One British Columbian grandmother is proving that there is no age limit to helping fight fires. 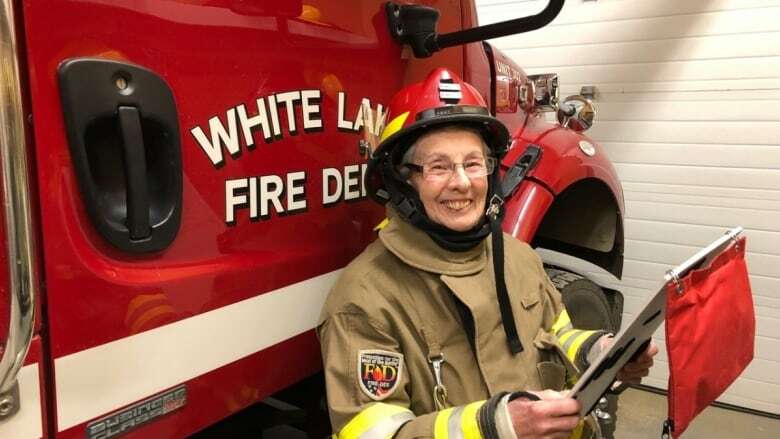 One British Columbian grandmother is proving that there is no age limit to helping fight fires or squashing stereotypes. Lester McInally, 73, has been volunteering at her local fire station in the Shuswap for nearly two decades. "It's part of my life," said McInally. "I've been with them probably longer than I had any other office job." She joined the White Lake Fire Department team soon after moving to the area with her husband in 2001. The pair wanted to volunteer partly to give back and partly as a way to meet people and integrate into their new community. 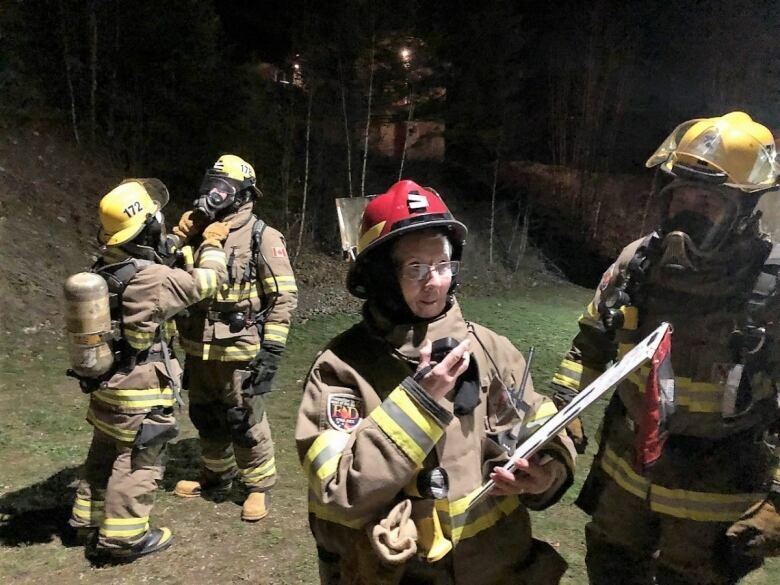 "We decided that we'd better join the fire department because they were giving us the protection that we needed," she told CBC's Daybreak South. McInally's husband retired from volunteering a few years ago, but the dynamic grandmother plans to keep going for as long as she can. When the fire pager goes off, McInally is ready at a moment's notice. She hurries to the fire hall and dons her gear — boots, pants, jacket and helmet. Over the years, she's done a variety of different tasks with the department. Although she's not the one picking up the hose and putting out flames, she helps with the firefighting in a support role. "If we have a call out, I'd be the staging officer," she said. The oldest firefighting volunteer McInally knows of was just a few years older at 75 when he retired. She hopes to stay on at least that long as well. "[I want to keep volunteering] as long as I can, as long as I'm still useful to the department and to all the members," she said. McInally is encouraging others to join as well — no matter what age or background. 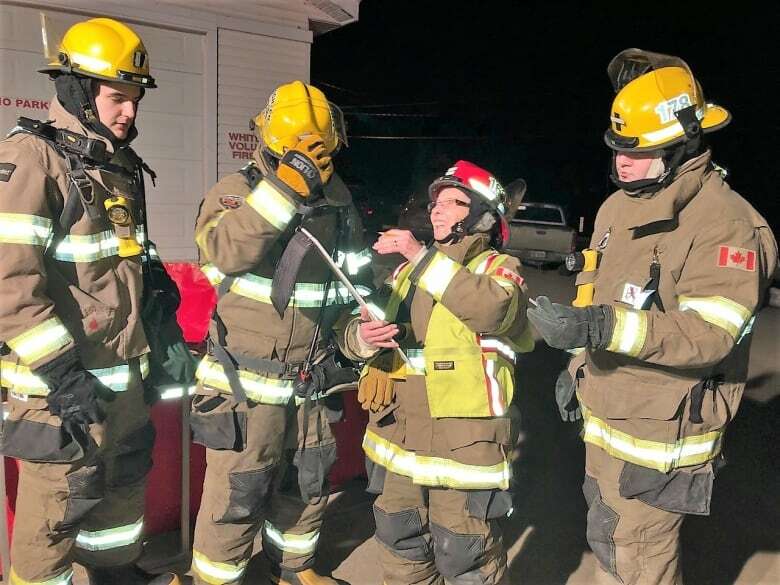 "We are in recruiting mode at the moment and, face it, any rural fire department always needs volunteers," she said. "It's not just the attack team — I mean, obviously we need those — but it's a support team, too."